The ensemble was launched in 2009 when three friends sat down to read Carl Reinecke’s Trio Op. 274; the signature piece for their ensemble. The experience was so “simpatico” that the players decided to look for similar compositions. Today Simpatico delights audiences with repertoire composed and arranged for their ensemble including standard literature, virtuosic showpieces, and lesser-known gems. 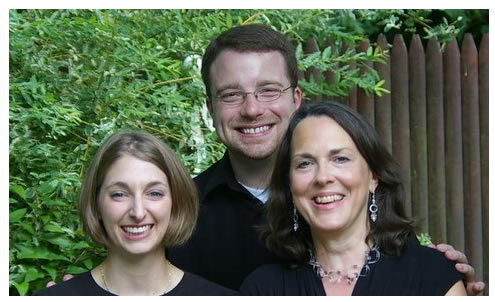 The Trio performs at a wide variety of venues including An Die Musik, Academy Art Museum, and St. Mark’s Methodist Church in Easton, Maryland. In addition, Simpatico is dedicated to musical outreach programs and performs at retirement communities such as Charlestown and Collington Episcopal Life Care. Currently they are working on their first CD. Simpatico’s members are clarinetist, Phyllis Crossen-Richardson: French hornist, Heidi Brown; and pianist, Matthew Bachman. All three are active performers and teachers in the Washington, D.C.-Baltimore metropolitan area and have collaborated on many projects for the past six years. an ambitious endeavor to “build a genre.” Through SCP we will commission, premiere and record new works written by a diverse mixture of emerging and lesser-known composers.